Exposé Online » Reviews » Alex Carpani - So Close. So Far. We managed to miss out on Carpani’s previous release, 4 Destinies from 2014, but I’m happy to report that 2016’s So Close. So Far. is a stellar example of modern progressive rock that honors the past without wallowing in it. 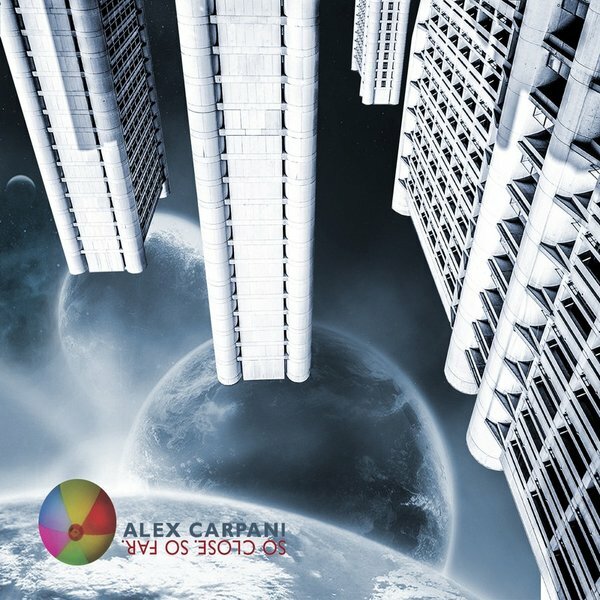 Carpani’s songs are well written, consisting of ten tracks of moderate length — no epic suites here, just concise statements that do their thing and get out of the way for the next track. The artwork has a dystopian edge to it, with figures in gas masks, but the lyrics (almost all in English) don’t seem to coincide with that at all, instead consisting mainly of personal observations that apply to modern life. Vocal duties are balanced between Carpani himself and Joe Sal, and in general this sounds more like a band effort than a keyboard player’s solo album. Ettore Salati’s guitars in particular are given lots of great spots, whether it’s beautiful picked acoustic or soaring electric. Carpani’s keyboards are of course stellar, and the instrumentation and details of tone are chosen well. Many tracks take unexpected turns in the keyboard department, like the percolating sequence that runs through “Next Time.” There are occasional sampled voices from historical sources, though the connection between the voice and the song where it appears seems arbitrary. This is a really solid album, and it’s hard to find fault anywhere. I’d have to say that even though the vocals (both lead and backing) are outstanding throughout, it might be nice to get an instrumental workout thrown in the mix to see what these guys can do. My only real complaint is that Carpani is indulging in the modern trend of over-punctuating album titles (see Hand. Cannot. Erase. ), presumably for some kind of emphasis.